When Will The Next Google Penguin Update Take Place? 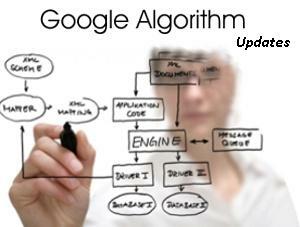 Google has been quite active lately, introducing new algorithms and other minor updates. These updates dictate how well your website performs and how much traffic you get from the search engine. Now Google doesn't want webmasters finding a comfort zone for themselves, because if they do, they will trick Google and effect the quality of results returned on the SERPs (Search Engine Result Pages). To achieve this, Google introduces lots and lots of updates, both major and minor, to counter web-spam. So it might be kinda hard to keep up with them. But blogging is all about flowing along with the wave currents, or with the trends, if you will. So it is very important for webmasters to understand the nature of these updates. In this post, we will talk about what these updates are all about, and how frequently Google brings updates. We will also talk about some of the flaws in the latest updates, so you know what kind of stuff you should be on the lookout for. Google was launched in March 1998. In internet terms, that's pretty long ago, considering that the world wide web was invented just 8 or 9 years before Google was born. I can't imagine how internet users survived before Google! We sure as hell can't live without it now :P. Anyways, at that time, Google was just a simple keyword based search engine, and it returned pages that had the most number of user query keywords in them. The very first update from Google was the Google Toolbar for browsers, and the Toolbar PageRank (TBPR) in 2000. This was when Google started ranking pages intelligently, and the concept of PageRank came into being. in 2002, Google launched its first official update, code-named the 'Boston' update. Google started monthly indexing of webpages, the so-called Google Dance. 2003 was a pretty busy year for Google. The Boston algorithm was updated, and a new algo was introduced, called the Florida update. This was much like the recent Panda update, and left many websites devastated. The Fritz update ended the monthly Google Dance and now, pages were being indexed on a daily basis. The Austin update was the major algo in 2004, and it continued Google's crackdown on low quality, black hat SEO websites. Apart from that, Google began investing, and raised its market share. By the start of 2005, Google emerged as a major search engine, and its share prices doubled. This is when it continued its efforts for fighting against spam by bringing many updates, such as the Bourbon, Allegra, Jagger, and Big Daddy updates. The "nofollow" attribute was introduced around this time as well, and Google started XML Sitemap submission. Google continued working on these updates in 2006 by Supplemental updates. This went on in 2007 as well, although Google started Video, News, and other searches. 2008 wasn't much constructive either, with no algorithm update from Google. However, Google introduced the Caffeine update, which was a major algorithm and infrastructure update. This update was perfected in 2010, and a new update was introduced in May, infamously known as the 'May Day' update. It impacted a lot of webmasters around the globe. In 2011, most of you will remember, Google unleashed the Panda update, which was a major algorithmic update and impacted lots of websites. Google also introduced the +1 button around that time. Google continued to update the Panda in 2012, and more than a dozen Panda updates have been rolled out to this day. The most recent update from Google was the Penguin update, which was again a major algorithm update. How frequently does Google bring updates? Well, judging from Google's update history, Google now brings a major algorithm update each year. But it introduces hundreds of smaller minor updates. Take the Penguin, for example. It has only been here for like two weeks, But in that time, Google has introduced more than 50 minor changes and updates. The total count for last year was around 500-600. So, yeah. Google is busy as a bee these days. Google also updates its previous algorithms now. The Panda 3.6 was released just after Penguin was rolled out. And the indexing is now done every minute. Google also updates the PR of websites every 3-4 months. The latest PR update was in the start of May 2012, so we can expect the next update to take place in August 2012. So fasten your seat belts, and start working on recovering from the Panda or Penguin updates. What are these updates all about? Like I have talked earlier, Google introduces these updates to fight against web-spam. The idea is to bump up quality content on search results, and push down the ruthless and black-hat SEO websites that use spam and unethical SEO tactics as a shortcut to gain the best rankings. So the priority is given to quality and original content, and duplicate and spam content is being pushed down. Of course, Search Engine Optimizers know how to duck and dodge these updates, which is why Google is constantly updating to stop them from finding their comfort zone. There can be another possible implication from all this ruthless updating and stuff from Google. We now are getting the feeling that Google is trying to monopolize the market for itself. Of course, it already has a monopoly of sorts. But it only has around 2/3rd (64%) share in the industry, and it wants more than that. By introducing all these updates, it wants webmasters to follow its own rules. In short, it is trying to bring the game to its own home turf. Other search engines are presented by a problem here. They either can copy the idea, and make Google look like the big guy who is also their mentor, or they can just ignore the changes and be taken by the tide that is Google. Now of course, Google takes a gamble with such big updates, because it doesn't make webmasters happy. But considering that Google is the biggest in the industry, it can take risks. Smaller engines can only look in awe. Now it also seems, that Google isn't entirely aware of what's happening with these updates. There are some loopholes that some webmasters know exactly how to exploit. And Google isn't aware of that. Otherwise, it would never allow such thing s to happen. Let me give you an example. Type into your browser address bar, www.something.com. You'll find just one word on the entire site; "something". Yeah. That's right! But there's more. If you check the PR of that website, you will find that it's at PR 5! Consider this blog you are on right now. It is at PR 4. See the problem? Previously, this website came out on top of SERPs when you searched for the word "something". Thankfully though, that's been fixed by the Panda and Penguin updates. But the PR remains the same. Google is also returning irrelevant search results since the Penguin update. Search for "Panda Recovery" on Google, and it will show you Pandora Recovery instead. Weird, huh? There's a lot more anomalies of this kind, and WPMU has written a detailed article on this. What's happening here? Well, I'm not really sure. But looks like there are some flaws in Google's algorithms, which the veteran black-hat SEOs are striving to exploit. Hopefully, this will fixed in the next algo update from Google, because this gives black hatters an unfair advantage over people like us who write original and quality content. I thinks Next update will be "Google Panther" Update Panther is also a cute animal like Penguin :P pretty kidding !! Lets see when will comes. Am trying to recover though, last day I was hit, yes, I have lost half of my traffic but it went back to norman in the following days, what does it mean though ? Fantastic tutorial about Google penguin update.Really thanks for sharing. @Prime Aque It means Google has been moving things around a bit. They have been making quite a lot of smaller updates. The traffic drop may be due to the "movement" of things. You have given us google's history in detail. Thanks for this post. I also had a blog named www.yourallinfo.com. Suddenly in the month of September, 2013 it started getting disappeared from Google's page result. I lost huge amount of traffic and my website stats went down. Can you please tell me what actually happened to my blog ?